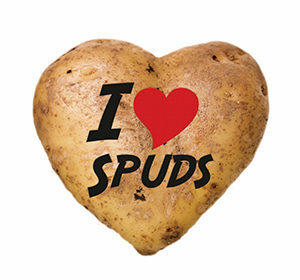 The Northern Ireland Stakeholder Potato Promotion Group (NISPPG) launched the Mighty Spud campaign to promote the consumption of fresh potatoes in Northern Ireland. According to research, UK and Irish consumption of potatoes has been steadily decreasing in recent years, particularly among younger people. This trend prompted one group of Northern Ireland potato growers, producers and farming industry representatives to come together and tackle the problem head on. The Mighty Spud campaign showcases the endless ways we can use potatoes, the impressive nutritional creds they hold (who knew a potato has more potassium than a banana?) and the great work of growers in producing some of the best spuds in the world. Angus Wilson started the Wilson’s Country Potatoes business from the family farm in the 1980s and since then the business has gone from strength to strength. The company, which is passionate about potatoes, now employs over 100 staff in the six acre site in County Armagh. Wilson’s Country Potatoes is one of the leading potato brands in Ireland. Michael McKillop is the director of Glens of Antrim Potatoes, a potato processing company based in Co Antrim. Owned by the McKillop family since 1972, Glens of Antrim supplies most major supermarkets and many smaller retailers across Ireland and the UK. William Orr and Son is a third generation family run farm business. Today, Robert Orr and his two sons Richard and Philip run the business. For over 60 years the family has specialised in growing and selecting only quality potatoes. They grow 14 different varieties including traditional Irish crops and newer varieties with a real focus on flavor and taste. 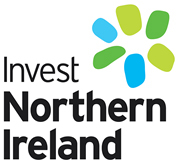 They supply the retail, wholesale, catering and hospitality trades throughout Northern Ireland. The McCurdy family grow and market potatoes from their farm based close to the historic Giant’s Causeway on the scenic causeway coast of Northern Ireland. They have established a loyal market in shops and households in the area and distribute a range of potato varieties throughout the North East. Click on the map markers to find your nearest Mighty Spud.